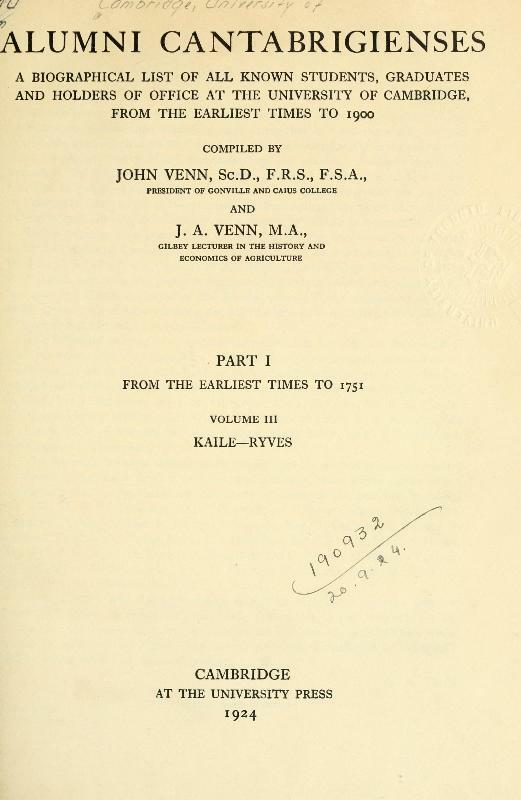 Alumni Cantabrigienses was compiled by John and J.A. Venn, former presidents of Gonville and Caius and Queens' Colleges respectively. 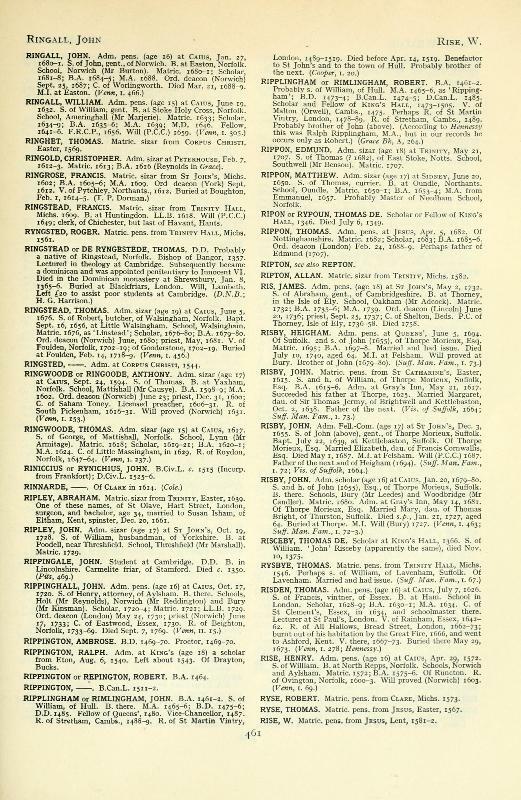 This list of all known students, graduates, and officers at the University of Cambridge offers information from various sources besides the university's records, which date from around 1261. The entire collection contains 10 volumes in 2 sets. The first set covers alumni from the earliest records to 1752 and the second set from 1752 to 1900. The compilation was completed in 1956.